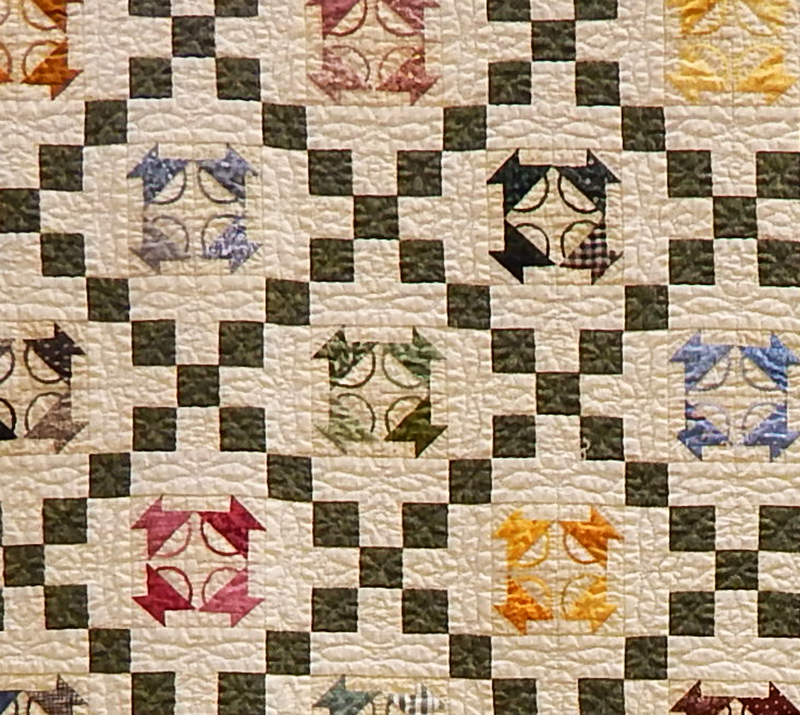 One of my objections to some of the quilting establishment is that every single thing about a quilt is supposed to be “perfect”—meaning made to the specifications of the current quilt maven, whoever (s)he may be. 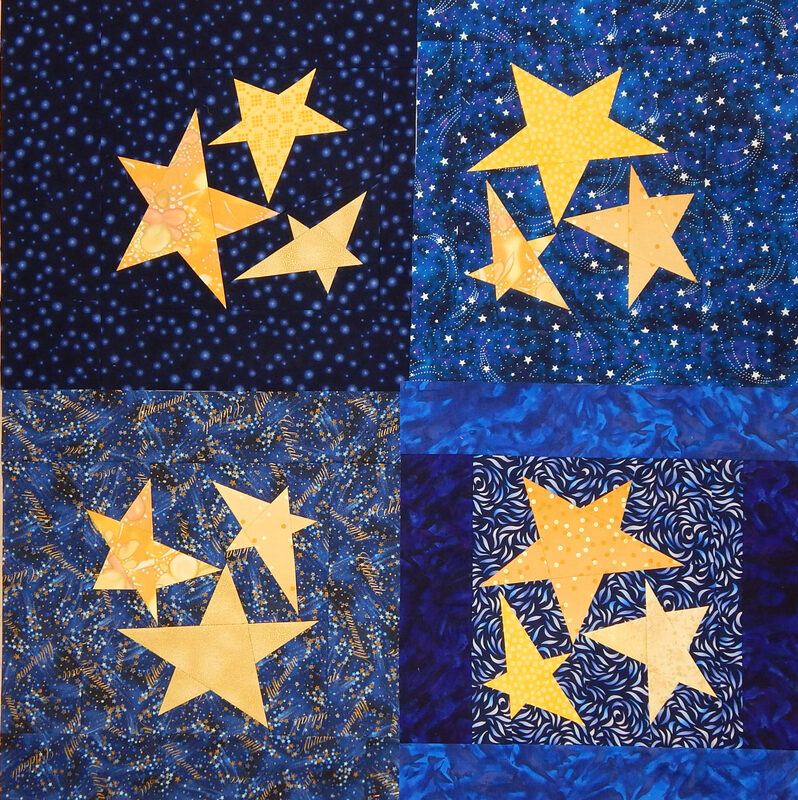 I once signed up for a series of classes that lead through many quilting techniques to the ULTIMATE QUILTING ACHIEVEMENT: a quilt with many tiny pieces cut on the bias, all points perfectly matched! I substituted one large block for 4 of the small ones. My goal is to give each task the time and energy it deserves, no more and no less. 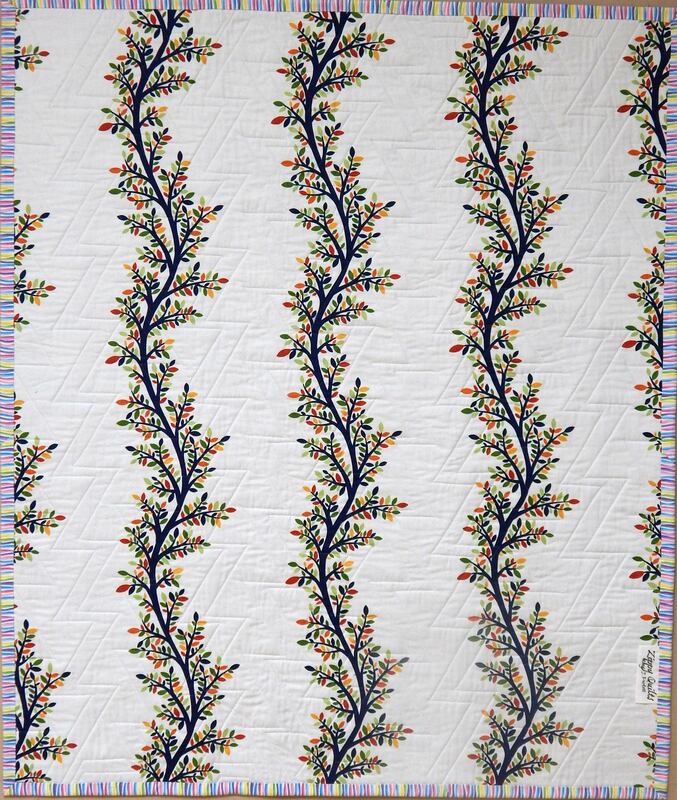 For example, I think doing a quilt binding the traditional way, by hand, is a waste of time and energy in many cases. A machine-applied binding is more durable, faster, and at least as attractive. 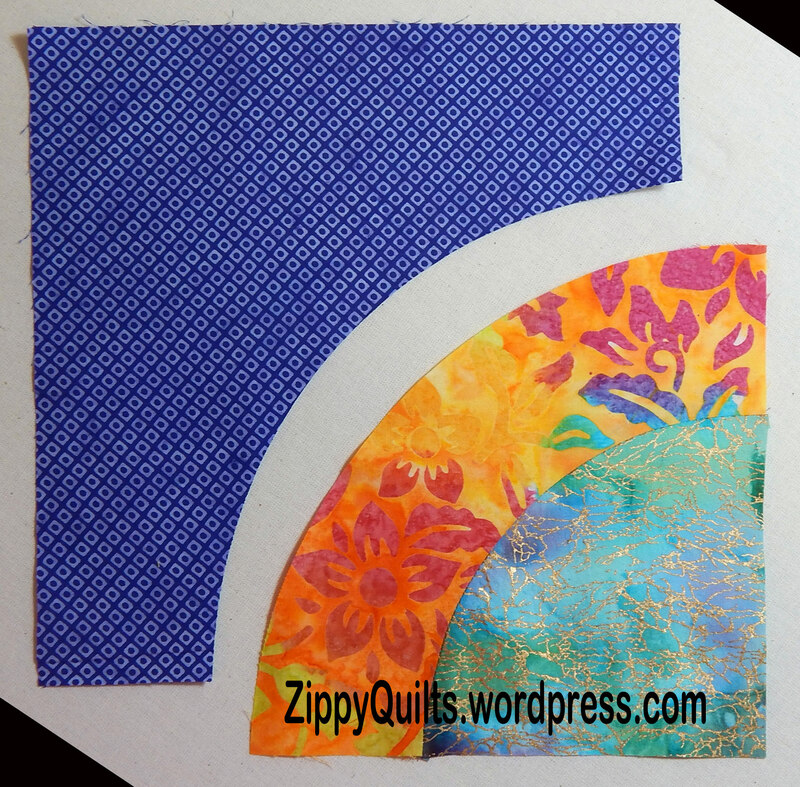 I even read one modern quilter’s opinion that a machine binding “adds an extra line of quilting on the back!” So much for the quilt maven’s worry that the machine stitching from the front shows on the back! I do occasionally apply a binding by hand, but there has to be a reason for it. So what’s your opinion? 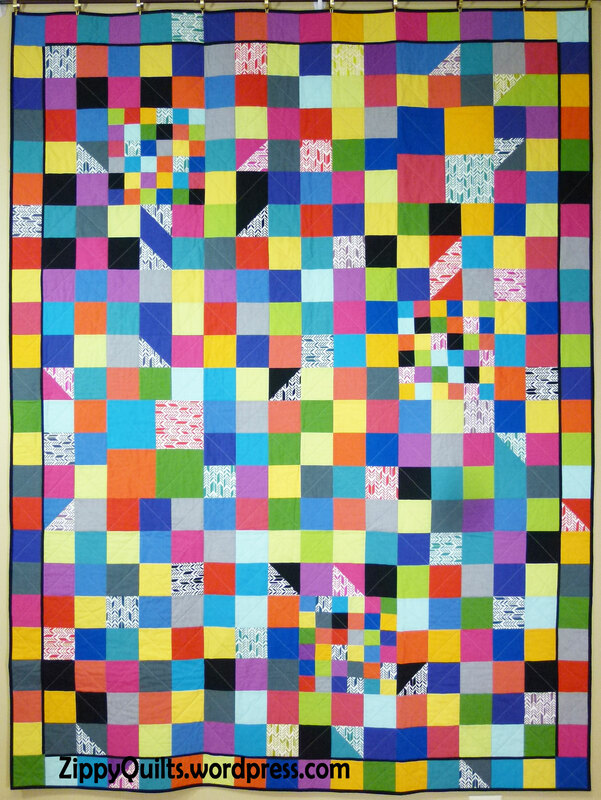 Which quilting techniques/designs/details are worth the trouble and which should be modified? Leave me a comment! I have a number of pieces of antique furniture, as much out of obligation as desire. These belonged to my grandparents, great-grandparents, and in one case to my great-great-grandmother. One of them contains Great Aunt Bess’s “Fizzle Drawer”. 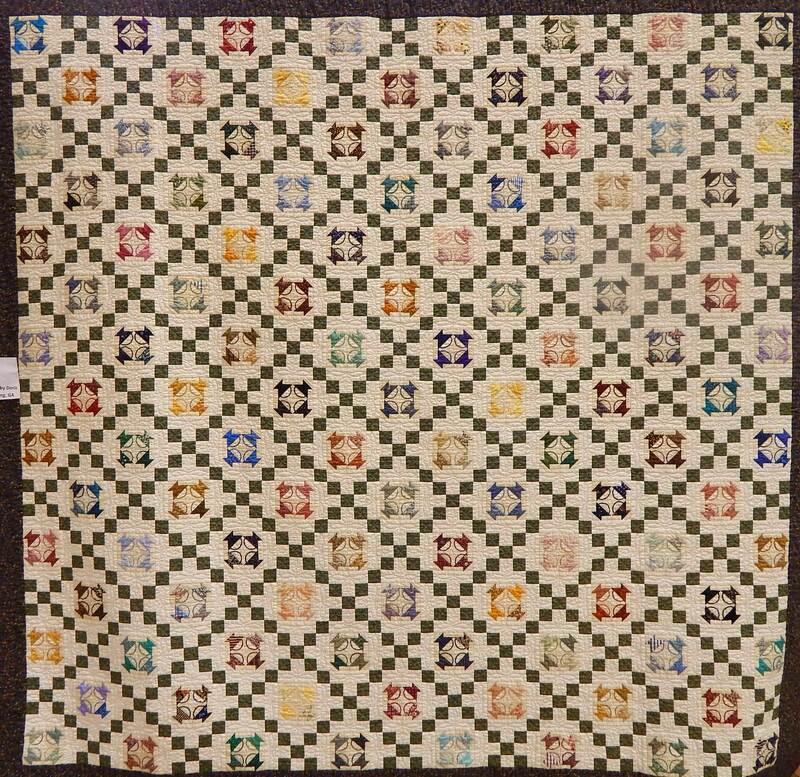 Granny once commented on it, saying that whenever her sister, Bess, had a sewing project that “fizzled”, the project went into that drawer. I’m not sure what happened after that. This would have been in the early part of the 20th Century, but I don’t even know whether the “fizzle” items were clothing or something else. By the time I inherited the furniture they were long gone! I think some of my UFOs probably should go in the “fizzle drawer”, but I don’t know when to quit, so I keep working on them. 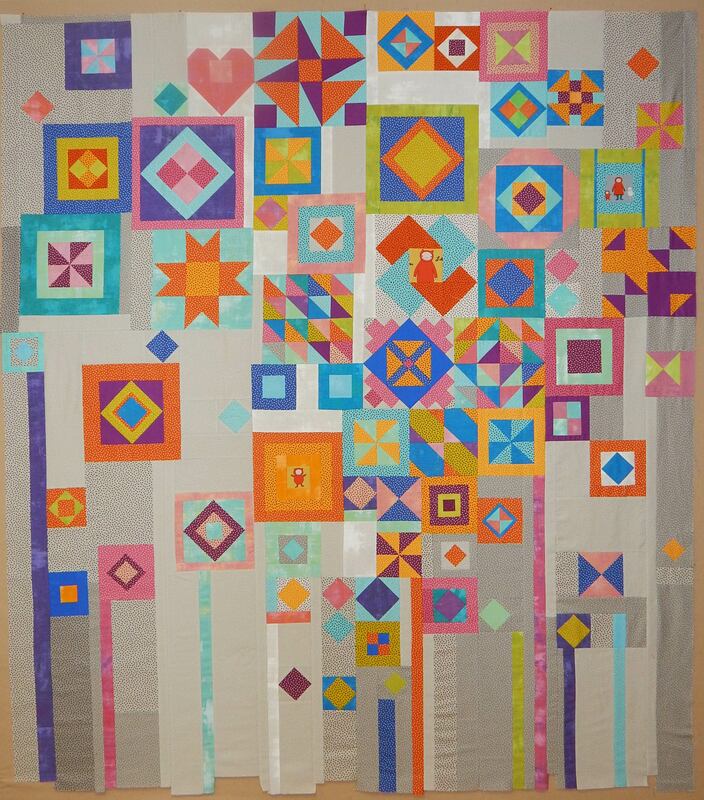 This next one was a class I did not especially enjoy, but I’ve converted it to 4 large blocks to be combined into a donation quilt. 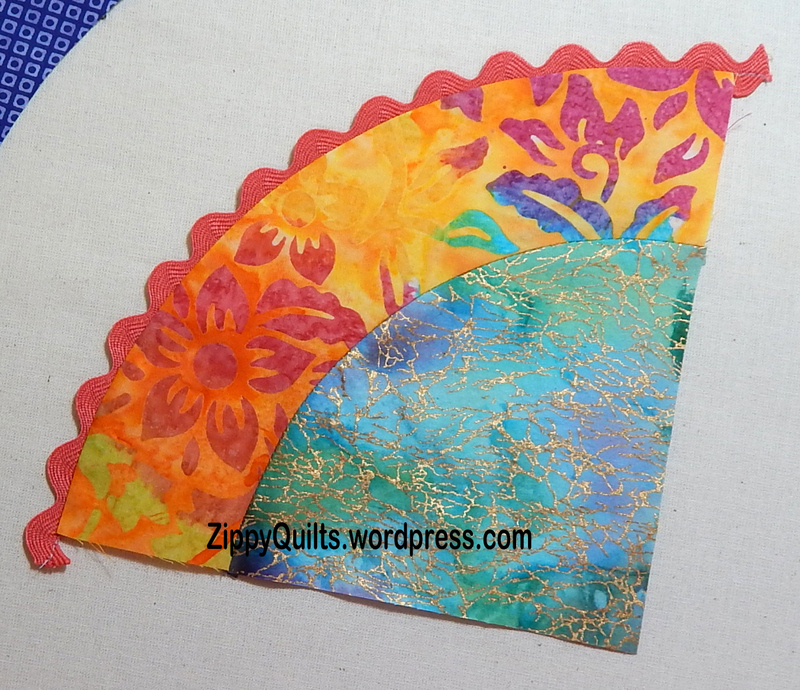 This next one is not a fizzle, it’s a set of place mats I made for a quick holiday class to teach this fall. 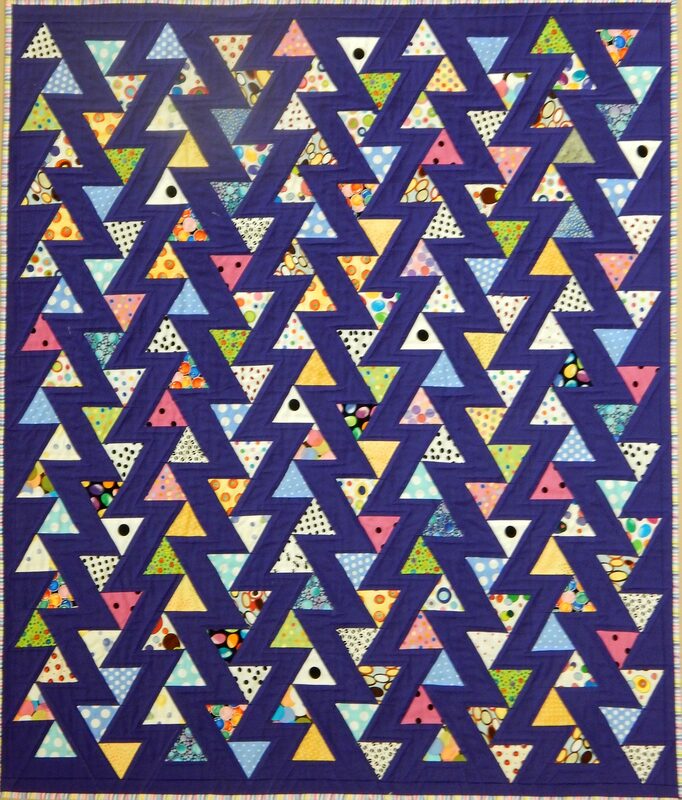 I developed this pattern YEARS ago for McCall’s Quick Quilts and have made many versions of it since. Place mats are a nice hostess gift to have on hand. We went to the “apple barn” this weekend and got some apples–must be fall! Here is the view from the apple barn, looking across some trees heavy with red apples to the mountains beyond. It doesn’t get any better than that! 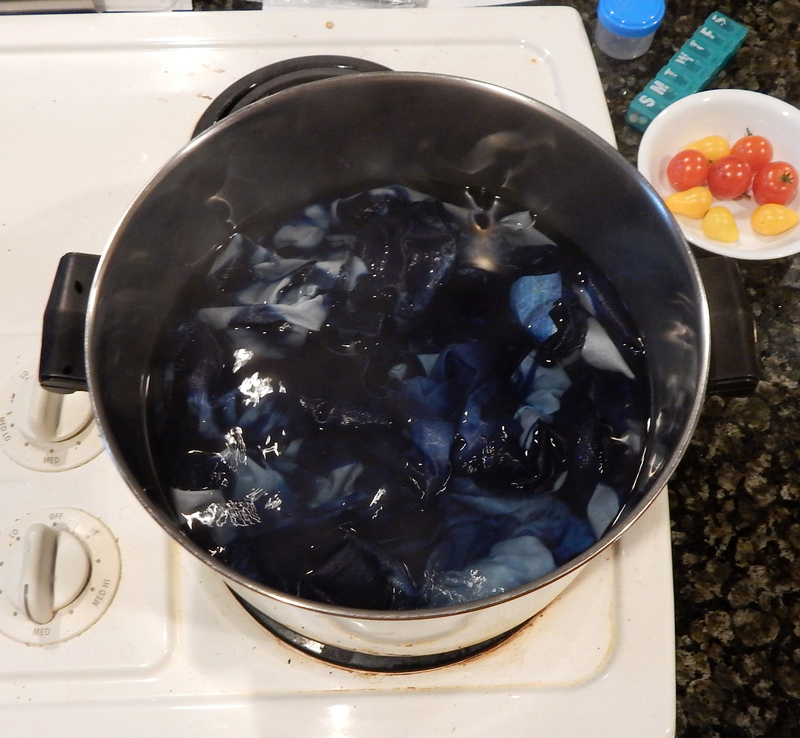 I recently took a one-day class in Shibori dying with natural indigo, taught by Debbie Maddy. 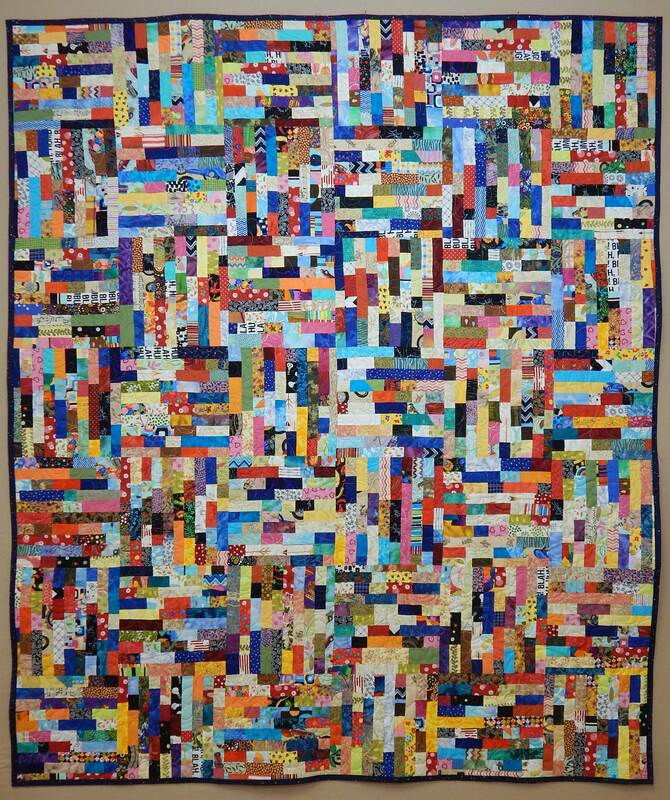 This was part of QuiltFest, put on in Jonesborough, TN, by Tennessee Quilts. 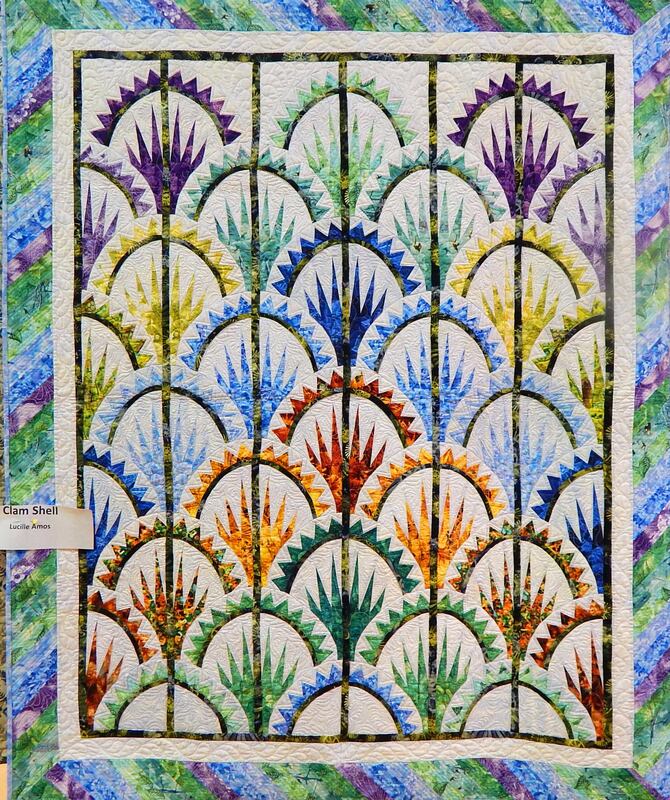 It was a good time as usual, and I’ll post more about QuiltFest later. 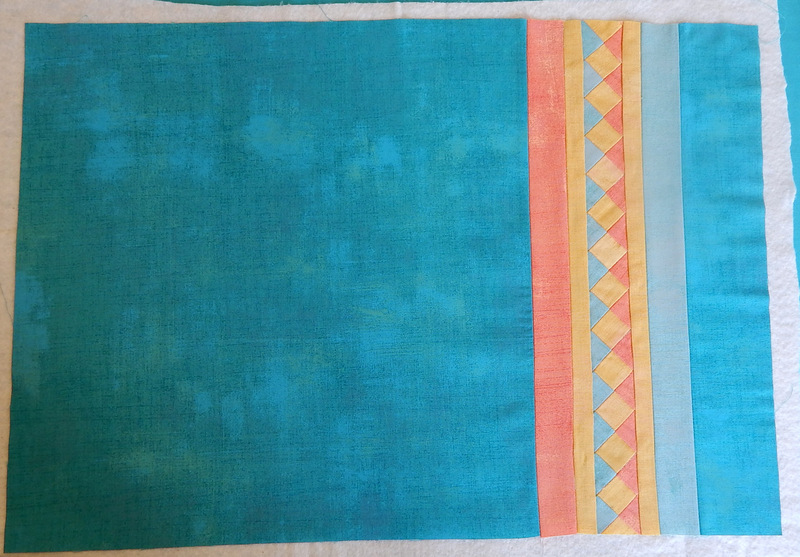 Debbie Maddy–her Shibori dying class was excellent! 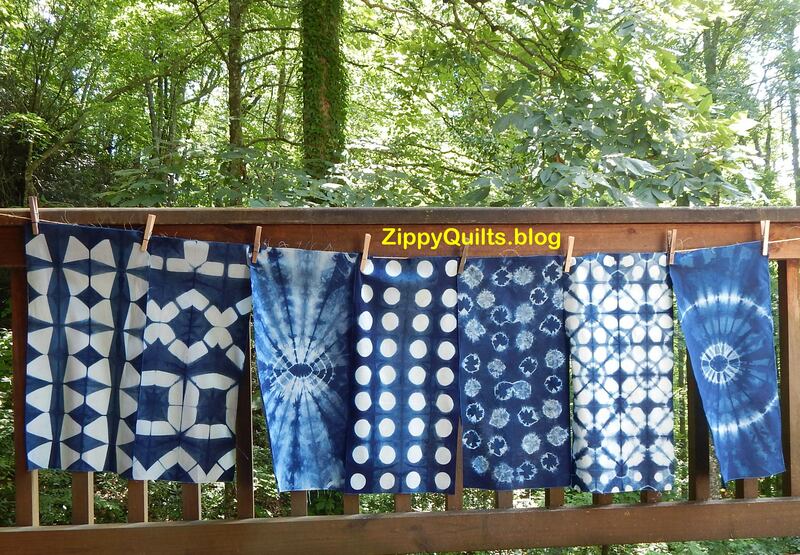 Debbie brought many beautiful examples of Shibori dying with her. 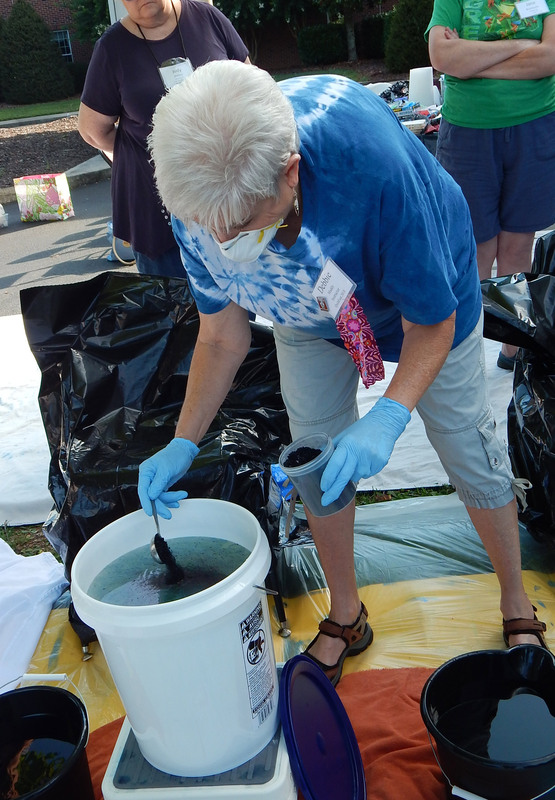 In addition to the class, she gave a lecture about her adventures with Shibori. To hear her tell it, she became interested in Shibori and immediately signed herself and her husband up for a 10 day Shibori class in Japan! I can’t even imagine! 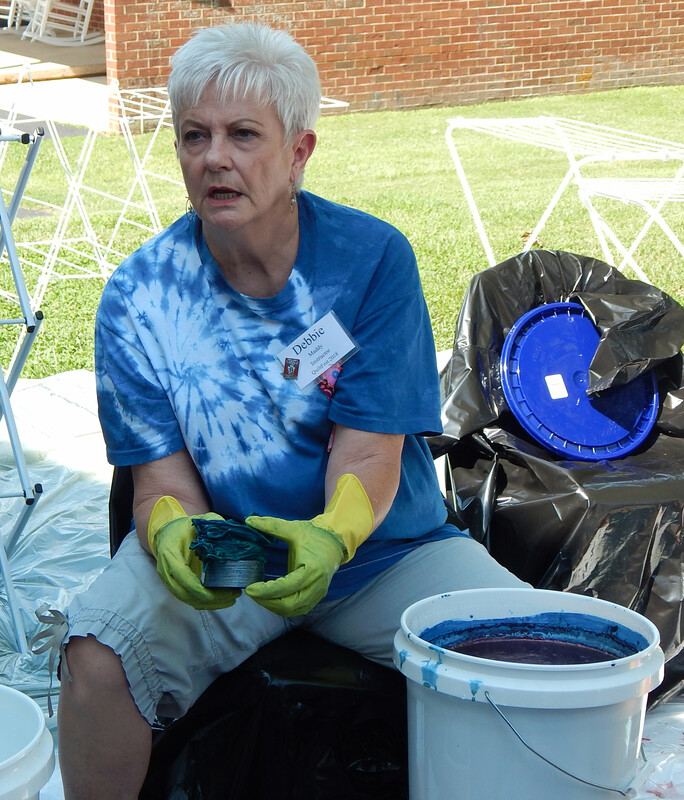 She gave us an introduction to how indigo is used for dying in various places around the world, then showed us how to mix the dye vats and prepare the cloth. As always, the most fun was seeing everyone’s fabrics drying on the line! 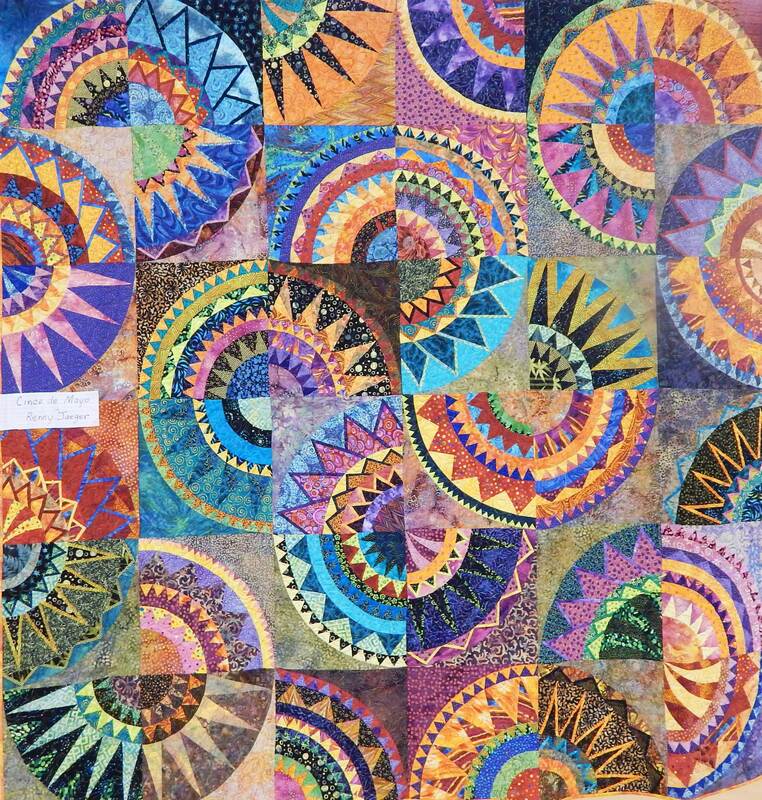 Here are a few more examples made by students. I’m sorry to say I didn’t get their names. When we got home, we had to neutralize the dye in a vinegar bath and then remove excess dye with pH neutral detergent in hot water. Of course, while I was in the shop I got a little fabric! 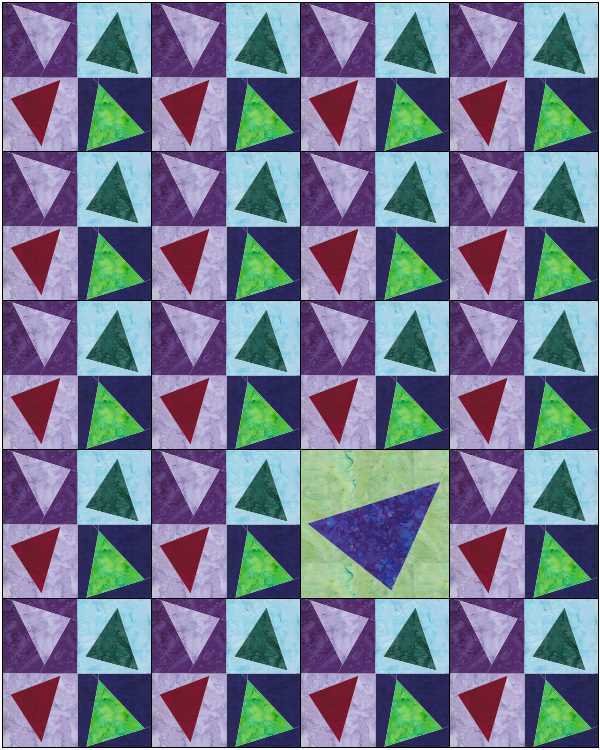 This is a specially-printed piece from Hoffman California that has 8 coordinating fat quarters in a 2 yard cut! There were other nice prints in the series, but I’m a fool for dots. If you need some, too, you can order from A Stitch in Time (and no, I do not make any money from it; this site is non-commercial). Or ricrac, or rick rack, whatever. I found a lot of spellings when I was trying to decide! 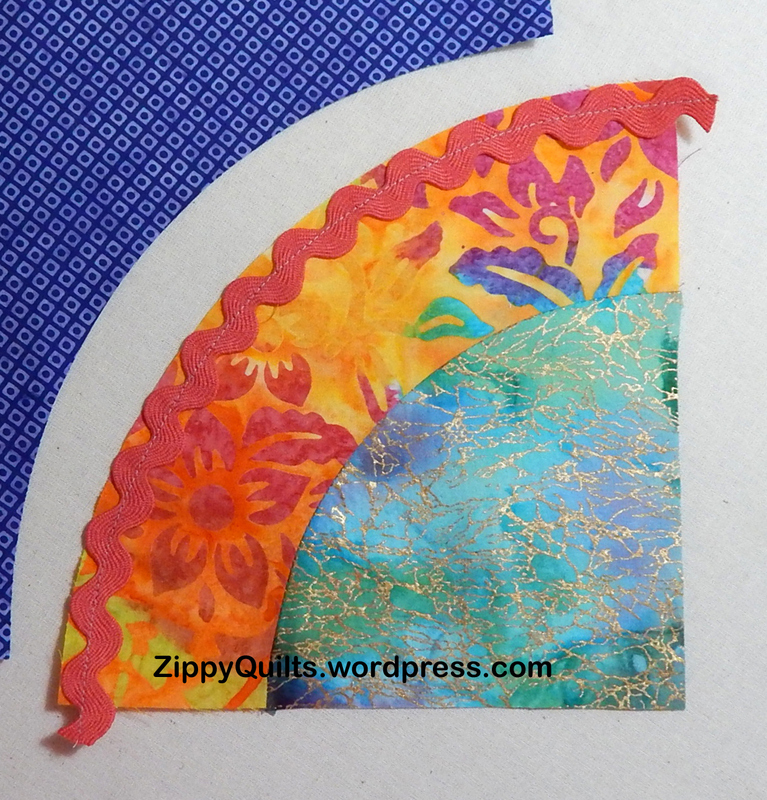 This fun way to piece curves was part of a class I taught this past weekend, and it was so cute in the blocks the students made that I just had to do a tutorial. 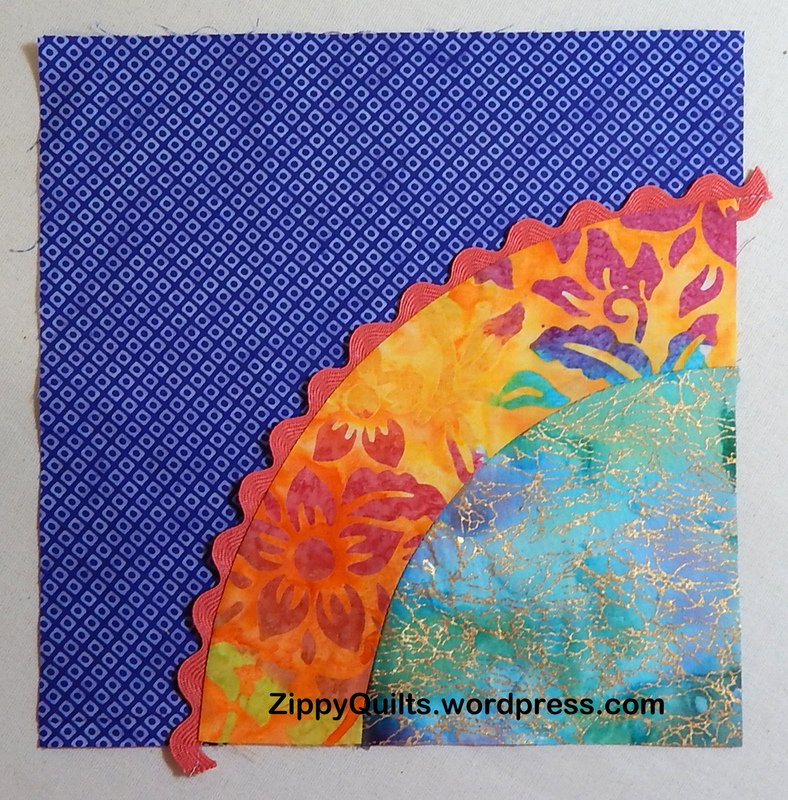 Lay the convex piece on top of the concave piece and line up the edges. 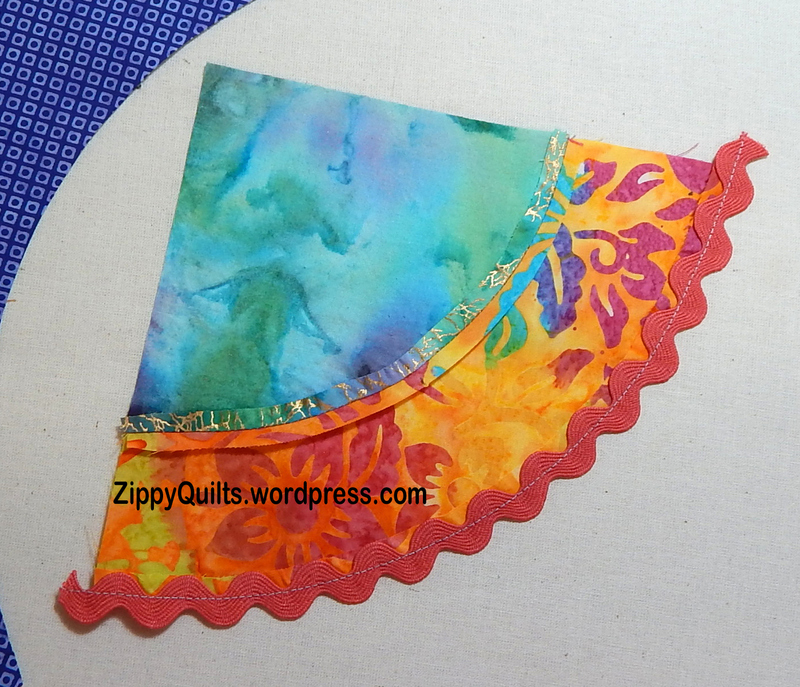 Flip over and try to line up the raw edges all along the seam on the back. Applique the convex piece to the concave piece by stitching in the ditch. I used silver metallic thread just for fun, but matching thread works well, of course. 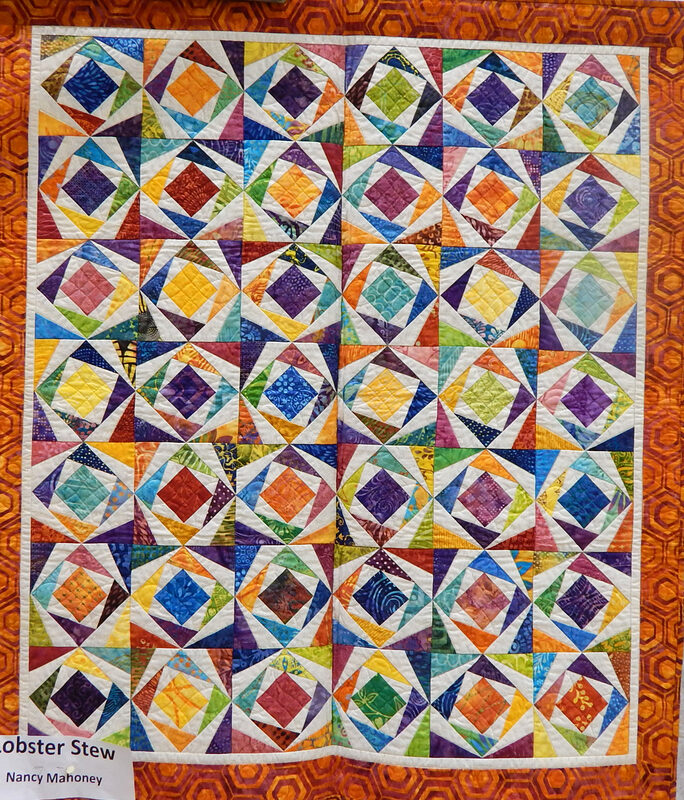 And here’s the finished block. Sort of modern-retro. Go try it! 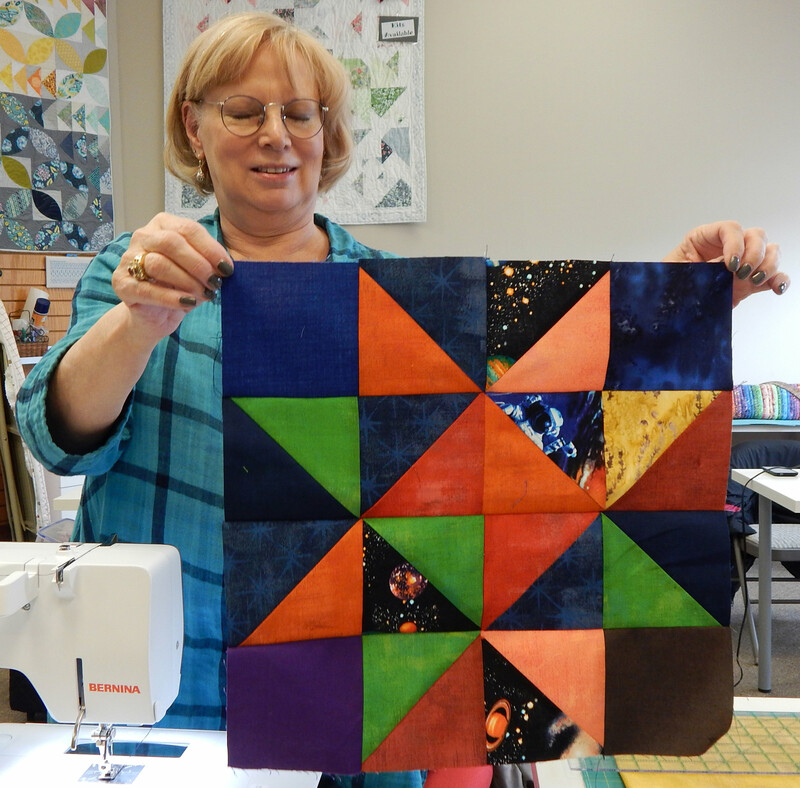 I’ll be teaching two classes at Studio Stitch in Greensboro, NC, this coming quarter. First is a “Secret Message Pillow”. Go by the shop to see the sample and sign up! That class will be the morning of Saturday, January 27, which means the pillow will be finished in time for Valentine’s Day. 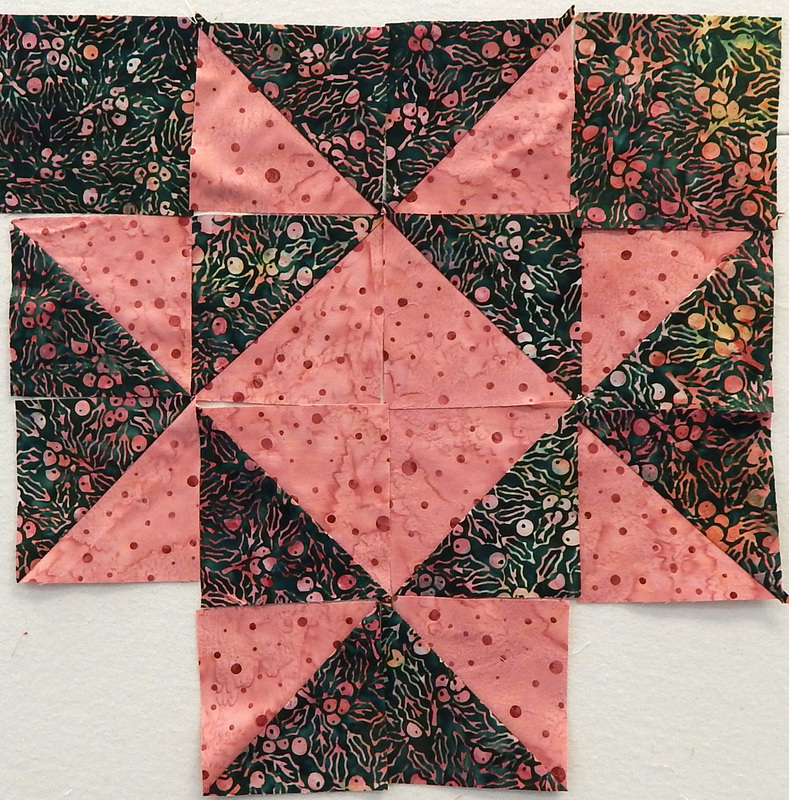 Second, I’m teaching a scrap management class that will show several ways to use even small scraps to make beautiful quilts. I call it scrap management because that’s what most of us need: management of the scraps. One option is shown above. 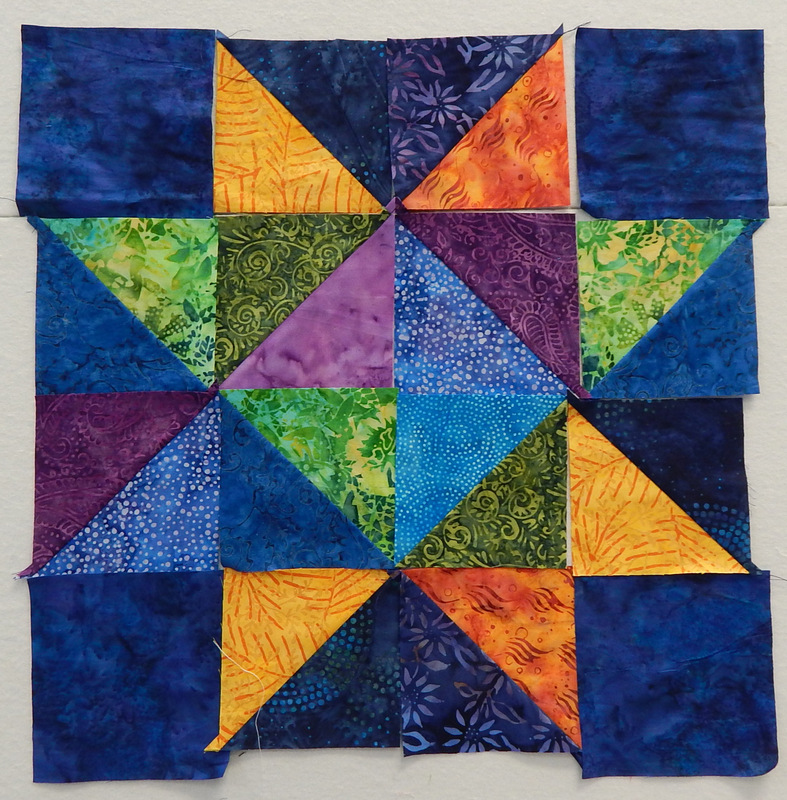 That class will be March 24 and we will have all day to play with our scraps. All you need to bring is the basket (dump truck load?) of scraps that have been accumulating in your studio. Sign up at the shop and come have fun! 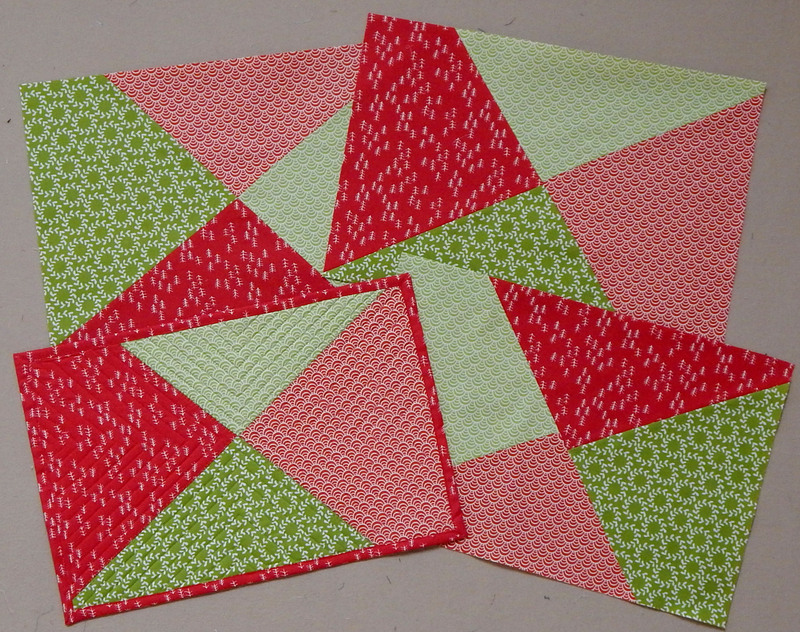 and one place mat per student assembled, basted, quilted, and ready for binding! 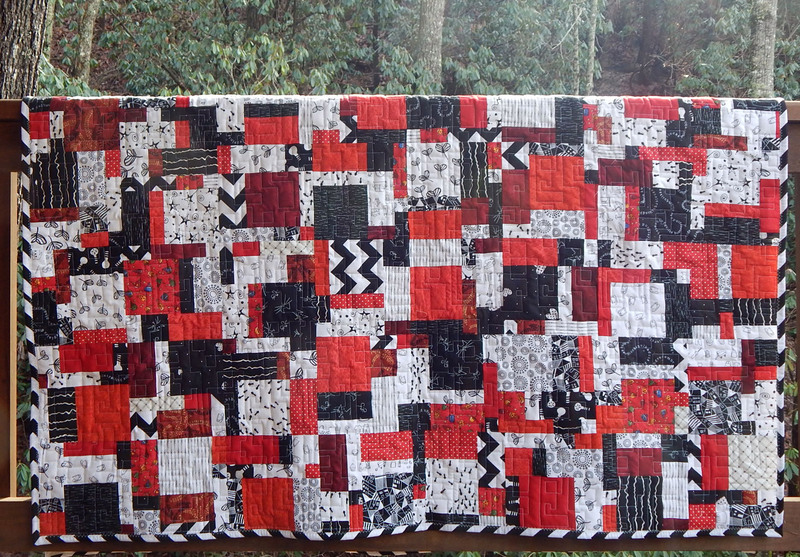 I particularly liked this one made with Mode Grunge fabric. AND the Gypsy Wife top is finished. I am truly done with that project. 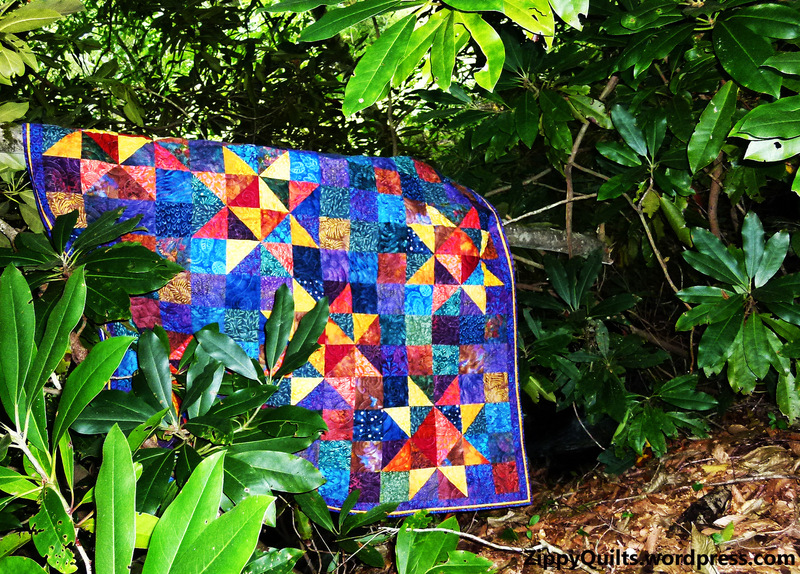 Off to the quilter it goes. Hope you had a successful September, too! Detail shot. This quit was at least queen size, and the little HST squares finish less than an inch! 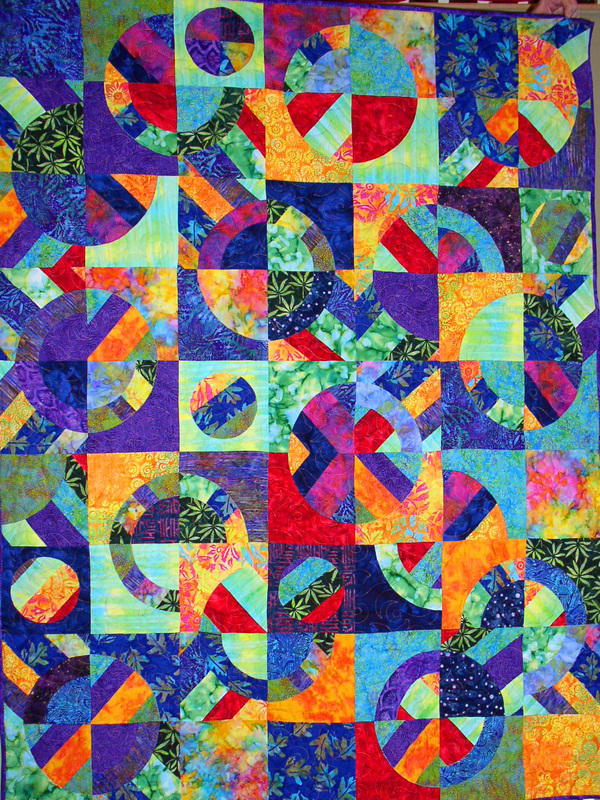 Quiltfest is 3 days of classes and other programs held in Jonesborough, TN every July. 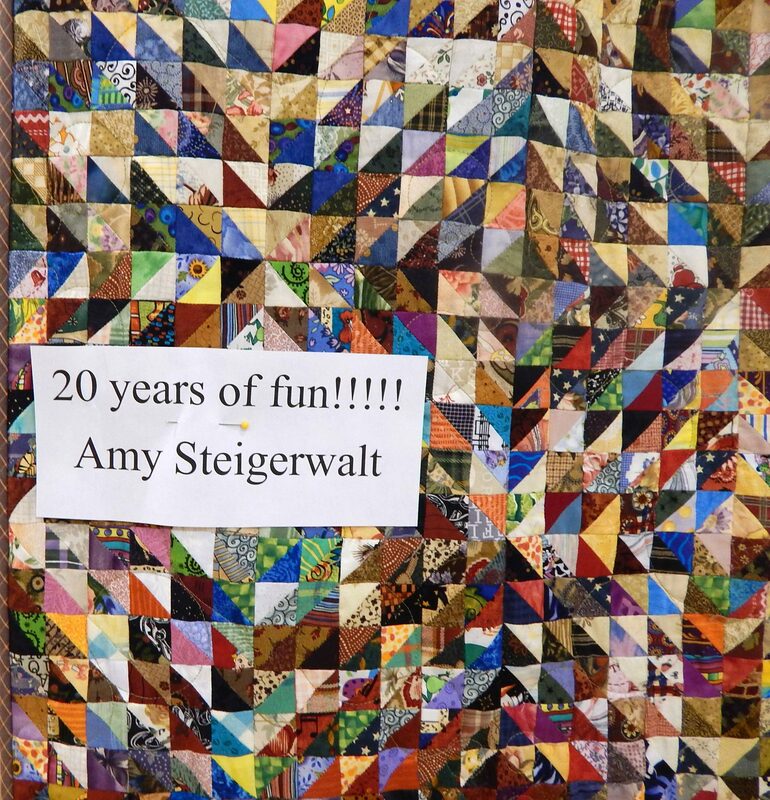 So, who’s coming to Quiltfest with me next year? Finished the smallest size (41″ x 35″) Lombard Street pattern and I’m about to send it to Studio Stitch, where I’ll be teaching the class. 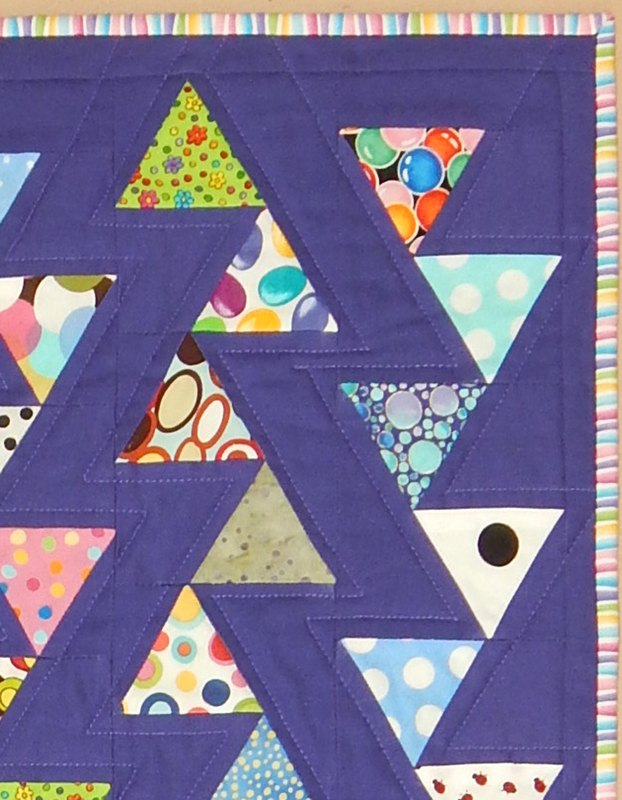 The triangles are all dots, though not polka dots! 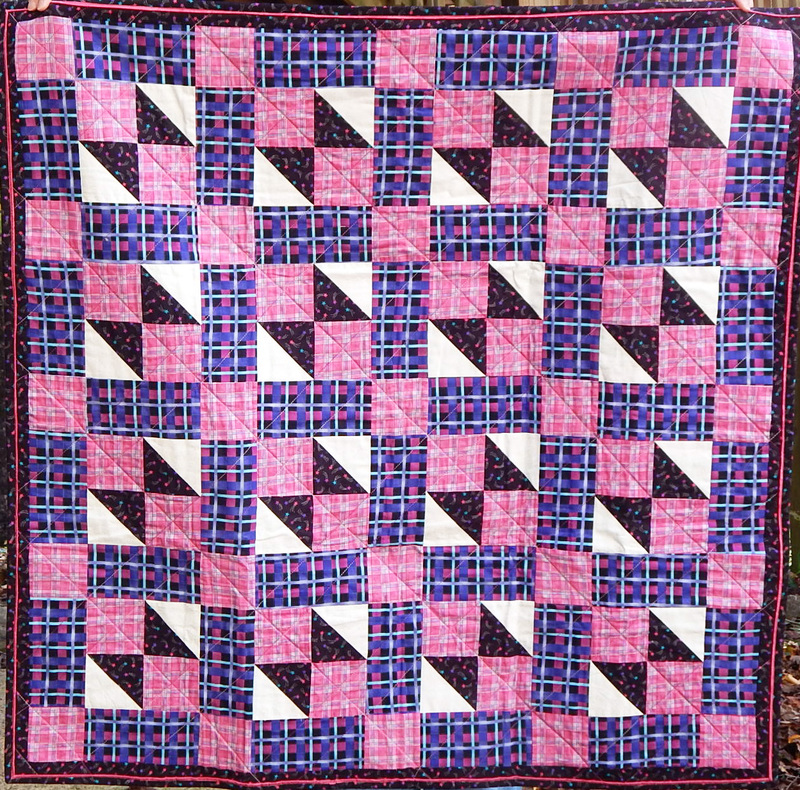 I quilted this on my home machine, just following the zigzags in the background, and it worked just fine. 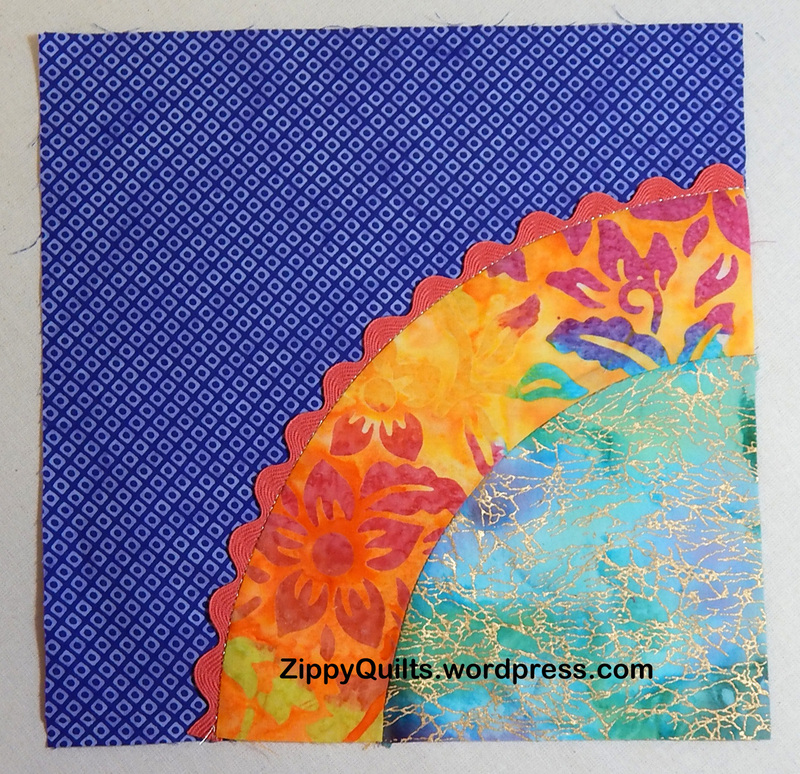 And the backing is a fun fabric I found on the sale rack at Studio Stitch last time I taught there! Win!